Who's your thunder buddy? 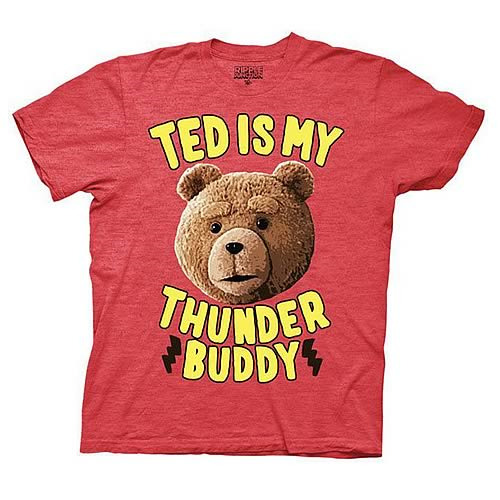 From the hit comedy Ted, comes this red T-shirt of Ted saying "Ted Is My Thunder Buddy!" The lovable foulmouthed teddy bear ain't no Teddy Ruxpin, so don't even say it to his face. When you hear the sound of thunder, don't get too scared. Just grab your thunder buddy and wear this awesome T-shirt! Available in sizes S, M, L, XL, and XXL.